In Amharic, the state language of Ethiopia, ‘barbare’ means pepper or hot. Not surprisingly, berbere spice, the flavor backbone of Ethiopian cooking, gives traditional Ethiopian dishes that fiery kick. Berbere’s constituent spice is paprika (itself a ground spice made from Capsicum peppers), but the final blend could be made from up to 20 spices. Ethiopian cooks of old were not short of kitchen experiments, and over time have added garlic, ginger, fenugreek seeds, African basil, black and white cumin, nutmeg, cinnamon, clove, cardamom, coriander seed, thyme, rosemary, turmeric and ajwain (carom seeds commonly used in Indian cooking) to the mix. This allows berbere to impart a richer, aromatic and more layered flavor to any dish it’s added to, whether Ethiopian or not. Amharic language scholars speculate that the name ‘barbare’ came from ‘papare,’ the Ge’ez word for pepper (Ge’ez was the language of ancient Ethiopia). 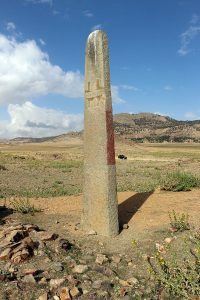 While that is likely lost in the mists of time, the more probable theory is that berbere came at a point in Ethiopia’s history when the independent Axumite kingdom controlled the Red Sea route to the Silk Road. The Axumites knew the secrets of the monsoon winds, and harnessed it to send their ships toward India in summer, and back again to Africa in winter. Linking to the fabled Silk Road meant that the Axumite traders now had access to goods from China. As a result, on their journey home to Africa, Axumite galleys were loaded with black pepper, cinnamon, cardamom, ginger, nutmeg, clove and turmeric, among other exotic spices. As these imported spices made their way to Axumite markets, locals were intrigued and experimented with whatever spices were brought back by the galleys. Over time, households developed their own mix, perfecting intensely-guarded concoctions that they handed down to the next generations. The result is a spice blend that differs from region to region, and from household to household. As there is no universal berbere blend, so is there no universal berbere flavor profile. In general, however, berbere imparts warmth, earthiness and sweetness to dishes that use it as an ingredient, whether in powdered or paste form. In appearance, dishes also tend to be brick-red, or even deeper, depending on how much berbere was tossed into the pot. Berbere is the cornerstone spice blend of Ethiopia; without it, ‘doro wot’ or chicken stew (Ethiopia’s national dish) would not have that distinctive brick-red appearance and rustic, savory intensity. 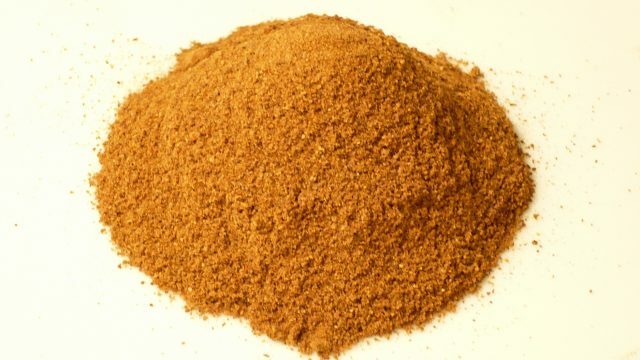 Because of its fiery kick (as purists like to have it), berbere makes perfect seasoning for meats, like ‘kai sega wot’ or Ethiopian spicy beef stew. Berbere is also added to ‘tibs’ (beef with berbere and tomato) in spoonfuls. But it’s not only in meats that berbere makes a welcome appearance. If you’d rather go meat-free, ‘shiro’ makes a suitable alternative. With broad bean flour and chickpea as base, shiro is mixed with garlic and onions to create a thick, paste-like dish. Another vegetarian option is ‘misr wot’ or red lentil stew. A few spoons of berbere impart it with the distinctive red brick color, but may be darker depending on ingredients used. ‘Timatim salata’ or Ethiopian tomato salad is of course not complete without a dash of berbere sauce. And if berbere doesn’t figure prominently in any Ethiopian dish, you can be sure that it shows up in some other way. ‘Awaze,’ a strongly flavored Ethiopian condiment, uses berbere as the main ingredient along with garlic and wine. Awaze can be used as a dip or marinade for meats and vegetables. As a standalone, awaze is used as a general condiment. So if you feel like your doro wot on injera needs some more heat, pinch off a piece and dip it into awaze. Berbere doesn’t have to be in paste form to impart a layer of depth to familiar dishes. 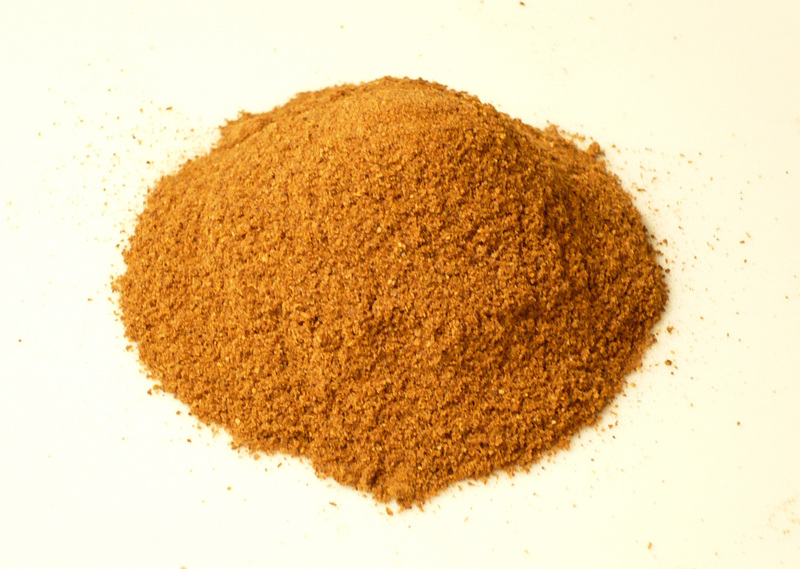 Use powdered berbere to rub onto meats (berbere-roasted chicken), or sneak into burgers and meatballs. Sprinkle some on your sauces, vegetables and other sources of protein (berbere on sushi, anyone?) for a hint of flavor that’s unmistakably Ethiopian. Want to try some berbere yourself? You can get a great organic blend here. This article originally appeared on Demand Africa.